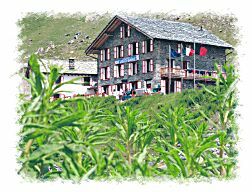 In the summer Refuge Gabiet represents an ideal place for those who want to acclimatise to higher altitudes before reaching the mountain huts Città di Mantova and Gnifetti that are starting points for hikes to Monte Rosa's peaks. 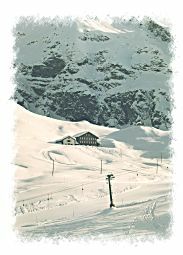 The refuge is also a resting place on the great "Monte-Rosa-Runde", a tour around Monte Rosa, that lasts about one week and that crosses the valleys lying at the foot of the impressive massif. 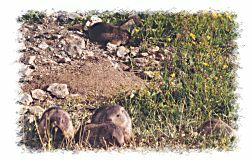 Moreover, a wide choice of walks suiting everyone's needs makes it possible to encounter wild animals such as marmots and ibexes, to admire the local flora and to enjoy superb views. Recommended itineraries: Lago Blu and Lago Verde, Passo Zube, Passo della Coppa, Bivacco Gastaldi, Punta Straling, Corno Rosso and many others that the refuge keeper will be glad to describe you. In the winter, thanks to its location in the heart of "Monterosa Ski", Refuge Gabiet is a paradise for keen skiers. 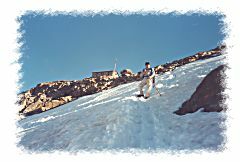 Expert skiers will find numerous off-piste itineraries. The refuge is also a good starting point for exciting ski tours to the most famous 4000-meter-high peaks in Monte Rosa's massif. A small cross-country trail near the lake completes the offer of the local ski resort.